Welcome! The lobby of the Deranged L.A. Crimes theater is open! Grab a bucket of popcorn, some Milk Duds and a Coke and find a seat. 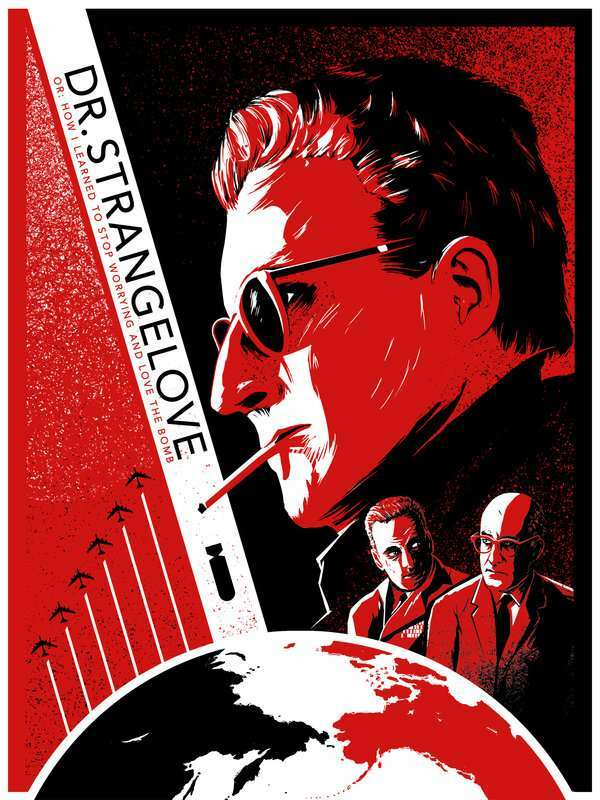 Tonight’s feature is DR. STRANGELOVE. Okay, I admit I’m stretching the definition of film noir here. But seriously, is there anything darker than nukes? Brilliant performances and deft direction make this film a masterpiece. If you have never seen this film before, prepare to be amazed. I’ve seen this film a multitude of times and I never tire of it. Crazed by the belief that the Communists are planning to conquer the free world by poisoning the water supply with fluoride, Gen. Jack D. Ripper, commanding officer of the U. S. Air Force base at Burpelson, unleashes a B-52 atomic bomb attack on Russia. Ripper prevents the countermanding of his orders through a secret code and makes himself inaccessible by sealing off the base. When President Muffley learns of the unauthorized mission, he summons his council to the War Room in the Pentagon and invites Russian Ambassador de Sadesky. Despite the hysterical advice of Gen. “Buck” Turgidson, who advocates limited nuclear war, the President orders U. S. land forces, under the command of Army Col. “Bat” Guano, to attack Burpelson.